The world of healthcare is always a hot topic because there millions of people who are accessing the internet and are trying to look for medical terms or try to look for what possible diagnosis they might have for the symptoms that they are manifesting. 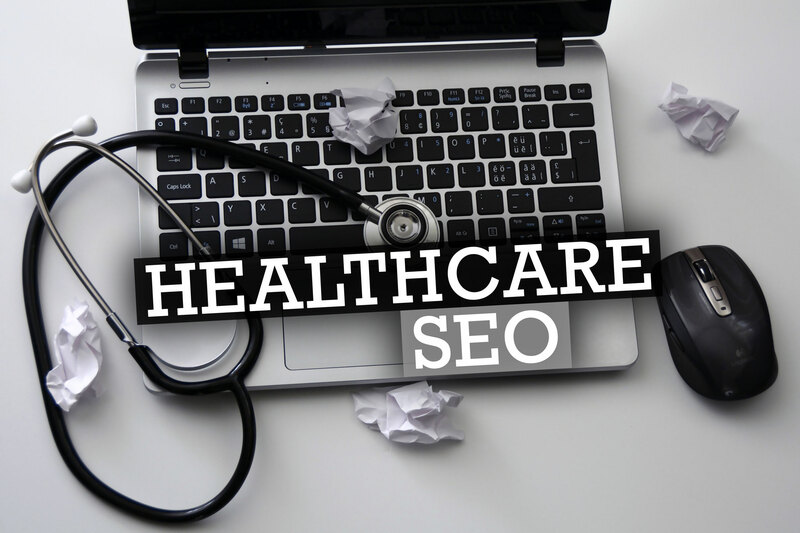 Thus, if you want your company to be the first to give people that relevant information, it might be a good idea to consider healthcare SEO. Search engine optimization or commonly known with its abbreviation SEO is the method used to optimize your website that is found in the search engines for relevant keyword searches. For example, when a person is searching for doctors within your area, and there are a number of you who are practicing within your area, then you would most likely want your website or your page to show up first in the search results of that person. If you not quite sure what it can do for you, then you should bear in mind that there are already more than 50% of American adults who are using smartphones, this means that they would most like consult the internet first if they have questions, and being at the top of those google searches will be very helpful for you to boost your referrals by allowing you to be known to prospective patients. In relation to your practice, you must then consider what people would tend to think when they will search should they be browsing the internet and look for your type of healthcare facilities and services. It is recommended that you consult and work with your team so that you will be able to come up with a comprehensive list of possible keywords. When you have already compiled your search terms, then you will have to test them first by searching each of the keyword phrases in Google’s Keyword Planner so that you will be able to see which of those phrases have a decent amount of local monthly search traffic, but with a lot of competition from other sites. In doing the analysis of these keywords, you should shoot for keywords which have around 200 to 10,000 monthly searches. And once you have already filtered your list, you can now begin to incorporate these keywords spontaneously over all of the various relevant web pages on your website. This shall come with a variety of good quality blog posts or other content pieces. It is important to incorporate those keywords naturally throughout your website because this will let the search engines know what your website is all about and this will then drive more patients to your facility. The keywords that you have targeted for your search engine optimization strategy should not only be placed throughout the original content on your website, but these keywords should also be placed in the metadata of those pages. Speaking of metadata, this is consisting of the HTML meta tags which lie between the open and the closing head tags in the HTML code of a document. This helps enable the search engine to know what the page is about by using the title tag, and the meta description and headers. Title tags act as the title of a page that is at the top of the browser and appears in blue text appearing in the search engine results. These should not be longer than 65 characters and should naturally incorporate your keywords whilst naming the page. The meta description, on the other hand, is the black text which should not be longer than 150 characters because this serves as the description of the content of the page. So that your organization can compete effectively with the other websites, you should now create original contents for your website as a representation of your healthcare organization. The content should be able to educate your audience by having good quality content marketing, this will then let you highlight your value and expertise as time goes by, and eventually gaining rankings in the search engine. Related: Content Marketing ROI: How to Measure the Success of Your Content? One of the overlooked strategies for indexing your website is the creation of a simple site map for the proper indexing of your website. The site map will enable search engines like Google, Yahoo and Bing to have a map of your website are laid out and connected, thereby helping users have better access to your website. There are a lot of healthcare professionals who are missing the opportunity to be able to have high ranks for other search-related verticals as compared a website like videos, images, local and others. Being a healthcare organization, you can leverage these unique SEO verticals to advance highly targeted traffic to your web properties. With at least 50% of the local searches are being done on mobile devices, it is now essential to use a mobile-friendly local experience for your customers. What makes local search become one of the most essential search verticals for a healthcare organization because this forces the patients to visit the physical location of such healthcare provider. Social media has been one of the biggest platforms to promote businesses. This helps establish a two-way conversation between the organization and a regular person. There are hundreds of factors that Google and other search engines take into consideration with regards to SEO, and social media is one of those which are being taken into consideration. The impact that social media has on search engine optimization is basically a form of link building. This is why it is important to have good quality contents so that it can be shared continually across social media channels. What is the Difference Between SEO and SMO? How to Rank Your Website on the First Page? How to Create a Sense of Unity in Your Business? Total Togetherness! What You Should Know Before Buying a Motorcycle?